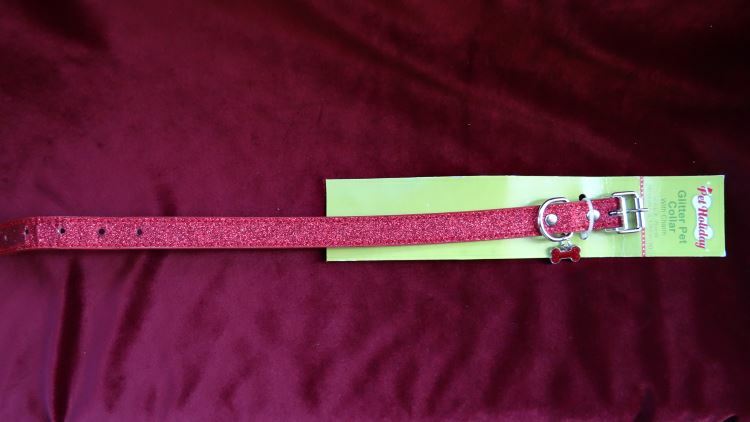 This Ruby Red Glitter Dog Collar is made of a faux leather and is covered with ruby red glitter. 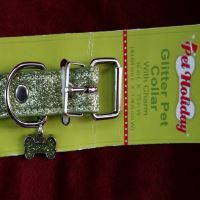 The collar is embellished with a silver metal bone charm encrusted with ruby red glitter. The buckle and leash loop are made of a silver metal. There are 5 eyelets for adjusting the size. 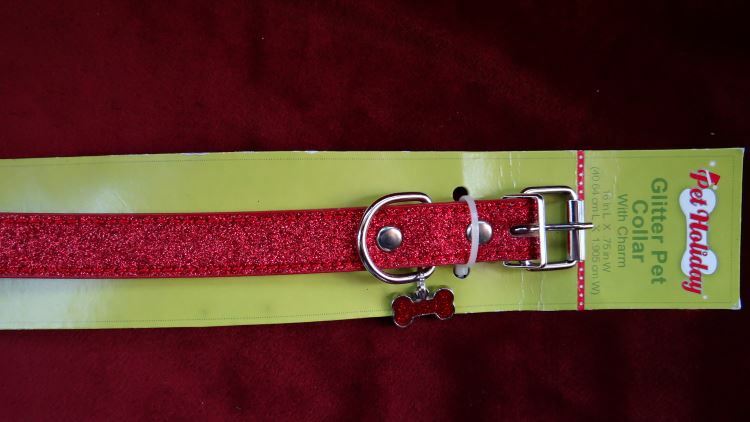 This collar is a size medium 11” - 14”.